Many people have the desire. It sits deep down inside for some. For others, they express their joy by picking up a trusty knife, a piece of wood, and a chair. It’s not something incredibly difficult to do – although it can be as challenging as you’d like it to be. Quite frankly, it’s an easy way to get lost in your own thoughts. It’s an easy way to relieve the stress of the day or the weekend. You don’t need much but, with so little, you can create a masterpiece – even if only for you. Whittling dates back to the point in time when humans discovered what a sharp edge can do to wood. It’s easy to imagine our ancestors, maybe even before discovering fire, sitting and making spears and other forms of primitive tools. Whittling, defined as “carving wood into an object by cutting small slices from it”, may of, in fact, helped shape many of our modern day tools. It wasn’t until the Civil War, when soldiers had ample down time and the talent to use tools, that whittling became a staple in passing time. Soldiers including enlisted, officers, and even generals enjoyed hours of whittling away at blocks of wood or fallen branches. General Ulysses S. Grant is well known for puffing on cigars and whittling away at sticks, even during battle. Soon after the war was over, soldiers began dispersing all over the country. These were the men responsible for spreading the hobby of whittling to others around the country and globe. As railroads spread and new construction began popping up, workers were often found whittling while they passed time. Even during the Great Depression, when young boys and adults had merely a pocket knife in their pocket, they could be found carving a work of wood whittling. Whittling, as a whole, has lost ground as a pastime. Replaced by the electronic age and other forms of entertainment, whittling is now something done by wood workers, hobbyists, and the occasional camper out in the middle of the woods. The Boy Scouts and a few other organizations catering to young boys and men, still carry the torch by teaching the art of whittling. While it seems explanatory, the basic tools of whittling are a trusty pocket knife, or whittling knife, and a piece of wood. When it comes to wood, the easier woods to whittle away at are softwoods. This is because, well, the wood is soft. If you’re out in the woods here are a few softwoods that you could try out: cedar, Douglas fir, juniper, pine, redwood, spruce, and yew. Basswood, also known as linden or lime wood, are a popular choice for many store bought whittling blocks. Basswood tends to be sold primarily in stores and advertised as whittling or carving wood. You can easily find it in many different sizes and shapes. Being a wood that is less dense, it allows for easier carving and whittling. It also grows faster than hardwoods and is, therefore, more readily available. Basswood has a Janka hardness of 410, making it roughly the fourth softest wood. Balsa wood, a native wood of South America, is also a common wood for crafts and whittling projects. Balsa is incredibly soft and light and has an open grain. Surprisingly, balsa wood is a major component of many building structures due to its low-density and high strength. It can be found in aircraft, wind turbines, sports gear, and even writing pens. 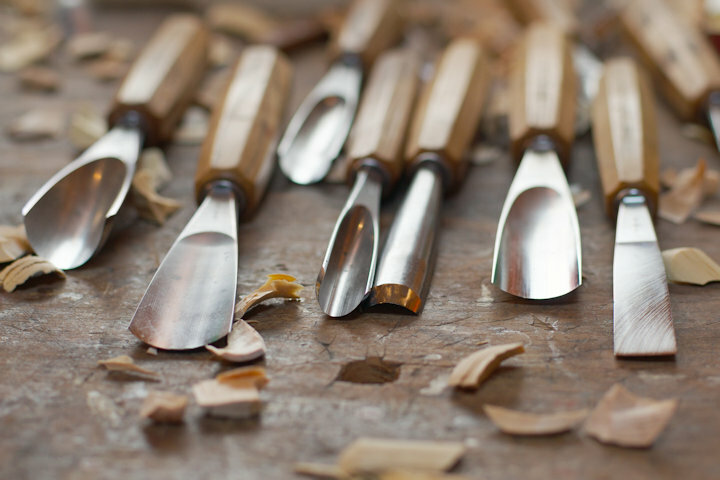 For whittling, you can find an abundant supply at any hobby or craft store. Balsa has a Janka hardness of 100 and is the second softest wood available. Pine is a popular whittling choice especially for whittlers enjoying time camping. Ample supply of pine allows for many whittling projects however be aware that there are a few potential issues. Pine tends to splinter easier than basswood and has the ability, depending on the type of pine, to not be able to hold detailed carvings. Still, many whittlers prefer pine because of its availability and the individual whittlers experience with pine. The Eastern White Pine has a Janka rating of 380, making it softer than Basswood. Other pines, specifically the more common Souther Yellow Pine, has a rating of 690. Oak is a tree that covers a large portion of the American countryside. As a whittling wood, it’s not the best. Due to the oaks hardness, it can be difficult to make any detailed whittling project. The English Oak, found primarily in Europe, has a Janka rating of 1120 while the Red Oak has a rating of 1290. Maple can be used as a carving or whittling wood as well. It isn’t as common to use but, if you’re out of luck and out of trees, pick a good maple and get to whittling. The Silver Maple, found in a large portion of the Eastern United States, has a Janka rating of 700 while the Sugar Maple has a rating of 1450. Woods not mentioned doesn’t mean you can’t use it to whittle. Just be aware that the harder the wood, the harder it is to whittle. If you are out camping or tromping through the woods and you’re looking to start whittling, your choices may be limited in regards to variety. You’ll just have to find a tree mentioned above, if possible. 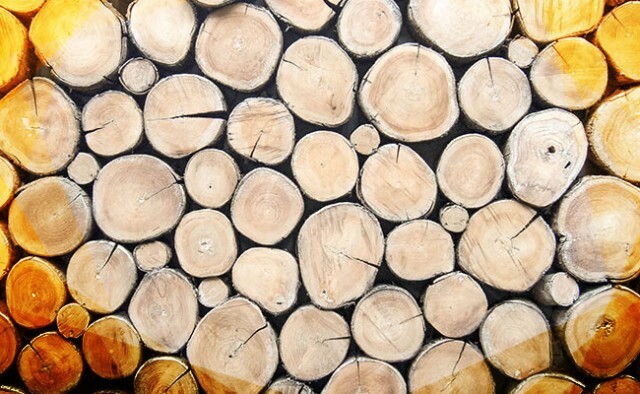 If you are buying wood, stick to basswood, balsa wood, or a soft pine. Regardless of the type of wood you have available, the knife you use is going to determine the extent of your whittling project. Depending on what you are looking to carve, a pocket knife might be sufficient enough. Other times you may very well need to change over to a specialty whittling knife. Either way, a sharp blade, a firm grip, and the right precautions, can go a long way with your whittling project. Modern day speciality whittling knives have had years to improve on by manufacturers. You’ll find brands such as Flexcut, Mastercarver, Old Forge, R. Murphy, among others. With engineers on staff to design knives specifically used for whittling, many specialty whittling knives are easy to use and ergonomically designed. Specialty whittling knives typically consist of a fixed blade and curved handles for a more comfortable grip. If you are whittling or carving wood at home then a nice set of whittling knives will go further, in many cases, than a pocket knife. A speciality whittling knife set usually consists of different shaped whittling knives or a variety of interchangeable whittling blades with a single handle. Because specialty whittling knives don’t fold, they may not be your first choice to take on a camping or backpacking trip. The good ole’ pocket knife is what has been used for decades to whittle away at a piece of wood. While many whittlers will only whittle with a pocket knife (say that five times fast), they are extremely convenient because you can throw them in your pocket and pull them out when your ready. Most pocket knives contain multiple blades so you’ll be able to carve with a good amount of detail. Your smaller blades are good for detailed work while your larger blade serves its purpose taking out bigger chunks of wood.